This simple yet informative guide is a must-have for all devoted pet owners. 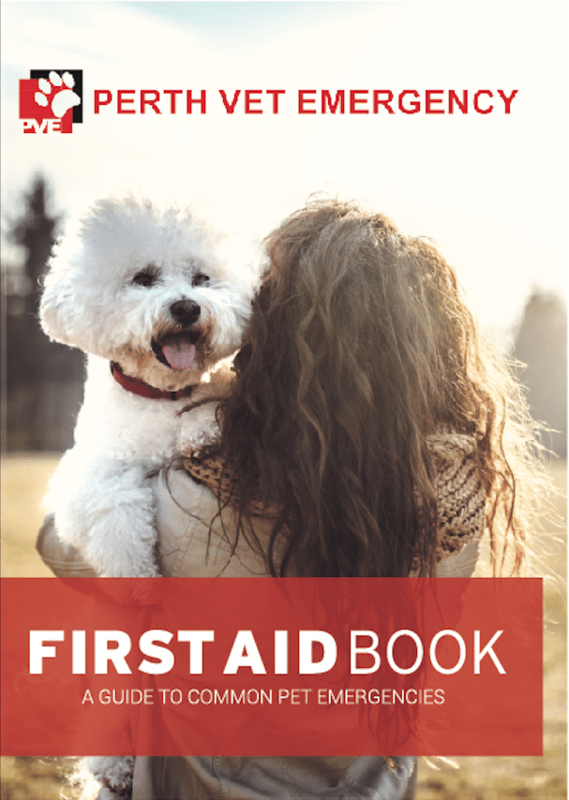 A completely revised and updated edition, First Aid Book is the perfect at–home reference explaining in simple terms, various conditions and illness that may affect your pet and how to effectively respond in potentially life-threatening situations. This user-friendly manual outlines clear and easy to follow instructions accompanied by pictures and diagrams for better understanding. The reassuring and comprehensive guide is an essential resource for owners to provide early treatment for their pets in emergency situations while awaiting professional veterinary advice. 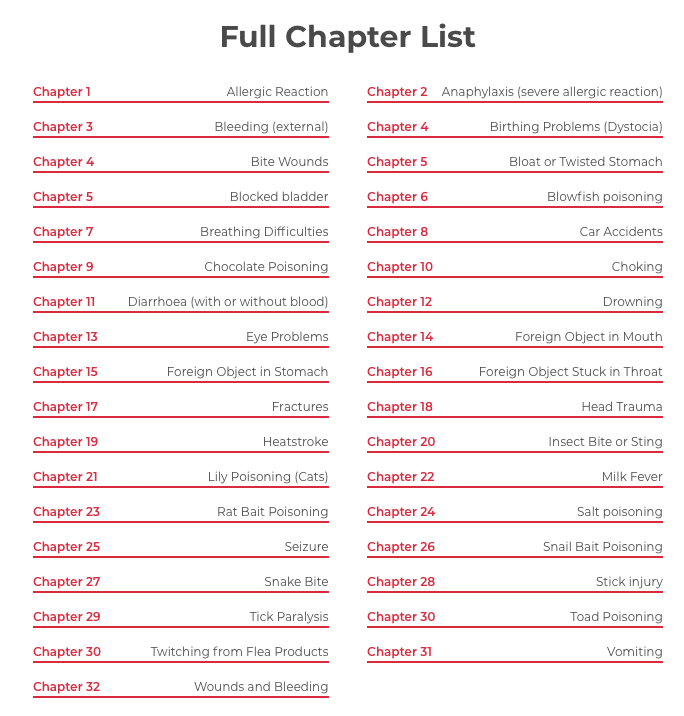 The First Aid Book is a fully illustrated, quick reference guide providing owners with practical, up to date information that might just save the life of a pet. A must-have for all devoted pet owners, this simple yet informative guide outlines in simple terms various common conditions and illness that may affect your pet and how to effectively respond in emergency situations. The completely revised and updated edition describes common ailments and symptoms, what action to take, what not to do and methods for prevention. 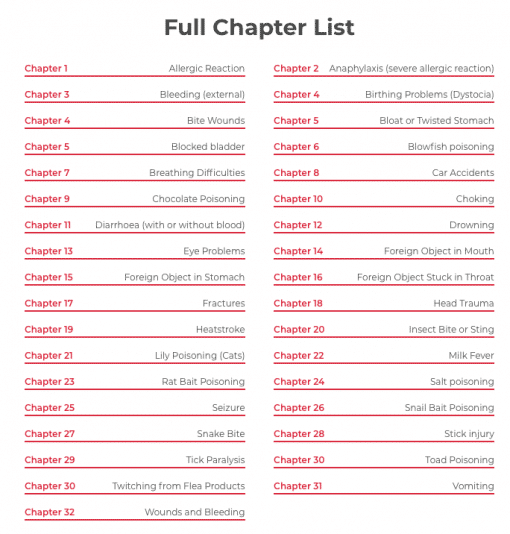 Each comprehensive chapter also includes information on what vet treatment can be expected and lists potential complications. Complete with clear, easy to follow instructions, this user-friendly manual is an essential resource for owners to provide early treatment for their pets while awaiting professional veterinary advice. Including a comprehensive index for quick reference in emergency situations and fully illustrated with clear yet detailed pictures and diagrams, this instructive book is an invaluable addition to every pet owner’s library.